Join board members, nature enthusiasts, and valued members for one or two nights in uniquely beautiful and remote Grates Cove, NL. We have 5 spots still open! Lodging will consist of bedrooms in shared rental houses. 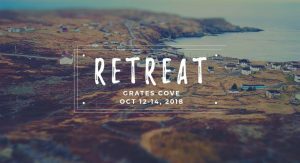 One family-style evening meal at acclaimed Grates Cove Studios (https://www.gratescovestudios.ca/) restaurant is planned for Oct. 13. Nature NL is organizing this retreat; all costs are shared by attendees. Email Sara Jenkins (saraliz.jenkins@gmail.com) for details, or to reserve your spot!